Output per annum The Indian Jute Industry today accounts for a turnover of Rs 6,500 crore annually, contributing to exports to the tune of nearly Rs.1000 crore. The Jute industry occupies significant place in the Indian economy. The Indian Jute Industry is a very old & predominant in the eastern part of India. The Government of India has included the Jute Industry for special attention in its National Common Minimum Programme. It forms an integral part of the Indian Textile Industry. Further, the Jute industry contributes to the national exchequer from exports & taxes. From 17th to 20th century, the jute industry in India was delegated by the British East India Company which was the first jute trader. During 20th century, Margaret Donnelly I a mill landowner in Dundee first set up the jute mill in India. In the year 1793 the first consignment of Jute was exported by East India Company. 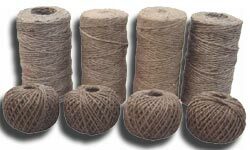 In the beginning of year 1830, Dundee spinners have determined spinning of Jute yarn by transfiguring their power driven flax machinery. This lead to increase in the export and production of raw jute from Indian sub-continent which was the single supplier of jute. The major jute growing areas were mainly in Bengal at the Kolkata side. In 1869, five mills were established with around 950 looms, the growth was very much fast that by the year 1910, 38 companies were operating around 30,685 looms, rendering more than a billion yards of cloth and over 450 million bags. In the year 1880, jute industry has acquired almost the whole of Dundee and Calcutta. Then later in 19th century, the manufacturing of jute has started in other countries also like in France, America, Italy, Austria, Russia, Belgium and Germany. Most of the Jute barons had started to quit India, leaving the set up of jute mills after Independence. Most of them were taken up by Marwaris businessmen. Jute is also known as the 'Golden Fiber' a plant that produces a fiber mainly used for sacking and cordage. This raw material is used for sacks globally which is a most versatile fiber of nature. Jute is cheap and important among all textile fibers next to cotton. The Indian Jute industry has been expanding really fast spanning from a wide range of life style consumer products, with courtesy to the versatility of Jute. Innovative ways of bleaching, dyeing and finished goods processes - the jute industry now provides finished jute products that are softer, have a lustre with aesthetic appeal. Today Jute has been defined as eco-friendly natural fiber with utmost versatility ranging from low value geo-textiles to high value carpets, decoratives, apparels, composites, upholstery furnishings, etc. The Indian Jute Industry plays a key role in the Indian economy, providing direct employment to about 0.26 million workers, and supporting the lives of around 4.0 million farm families. Around 0.14 million people are engaged in the tertiary sector, that supports the jute industry. Currently it contributes to exports about Rs. 1000 crore. The India Jute Industry consistitutes total mills from central government which owns 6 jute mills, the state government owns 4, 2 are under cooperatives, and 64 jute mills are under private ownerships. India today has around 78 jute mills and the state of West Bengal alone has around 61 jute mills. Andhra Pradesh has 7 jute mills, 3 Utter Pradesh has 3 jute mills and Bihar, Odisha, Assam, Tripura, and Madhya Pradesh has 1 Jute Mill each. In the exports in the financial year 2006-07 total jute goods was at 104.3 thousand M.T valued at Rs. 583.55 crore. The exports of jute goods were between Rs. 1100-1200 crores. 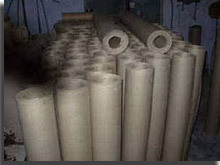 The production of raw jute varies between 90-180 lakh. In the year 2005-06 the Domestic consumption is 13.5-14.5 lakh MT and the production was 85 bales. While the estimated production was 105 lakh bales for jute season 2007. In the year 2008-09 the Import of Raw Jute was 66% in quantity and by 55% in value terms, whereas import of jute products saw a surge by 23% in quantity and by 47% in value terms when compared with the figures of 2007-08. Indian Exports of jute-diversified products (JDP) has gone up from Rs.93.4 crores in 1998-99 to Rs.257.3 crores in 2004-05, constituting 22 % of India's total jute goods export. Floor coverings and shopping bags together account for about 97 % of all lifestyle JDP exports. The U.S. is the biggest market for Indian JDP, followed by a few European countries such as the United Kingdom, Germany, Italy and Spain. The government aims to increase the exports of jute and jute products to nearly Rs.5,000 crores in the years to come. Birds jute & Exports Ltd.
Providing direct employment to about 0.26 million workers and around 4.0 million workers indirectly, Indian jute industry is an integral part of the Indian Textile Industry. The Government of India has started the "Jute Technology Mission" keeping in view the growing contribution of the Jute industry to Indian Economy. This will benefit jute producers, the workers engaged in the production, jute entrepreneurs and others employed in related activities. It will also play a vital role in modernizing the jute industry and help the country to reap the benefits with enhanced levels of jute diversification. Achieving a Compound Annual Growth Rate (CAGR) of 15% per annum. Improving the quality of jute fiber. Value addition through diversified jute products. Ensuring remunerative prices to the jute farmers. To enhance the yield per hectare from 2200 kg/hec. to 2700 kg/hec. in 2010-11.